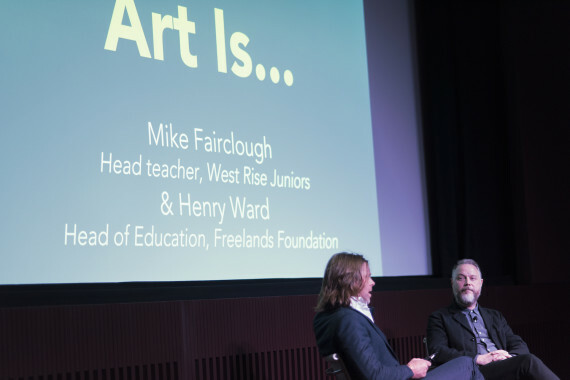 At the recent Art Is... event at Tate Modern, the Freelands Foundation gathered together a cast of artists, educators, gallery directors and more to present a series of talks and discussions about the idea of socially useful art, the importance of art education, and the role of creative freedom for artists. Fisun Guner reports. Does art have to be socially useful? Should it, dare one ask, be morally instructive? Must it, in other words, make us better people? What is socially useful art anyway? Moreover, what should a good art education consist of? And what does creative freedom really mean for an artist? Last Saturday at Tate Modern, the Freelands Foundation, an organisation whose stated mission is to ’empower artists, support cultural institutions, broaden audiences for visual art and enable all young people to actively engage with the creation and enjoyment of art’ (so quite a remit there), held Art Is…, a series of events pondering these questions. And far from offering any prescriptive answers, the discussions stimulated and provoked, and very often moved. Take the keynote talk given by Amila Ramović. 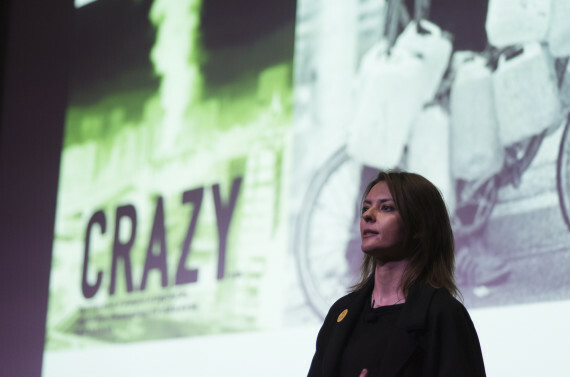 Ramović heads the ambitious Ars Aevi Project in Sarajevo and her work centres on the project’s impressive international art collection, currently housed – hopefully temporarily – in a depot, just outside the centre of the city. Facilitated through a volunteer network of big-hitting institutions, it’s a growing collection built purely through donations given by major artists and museums in Europe and beyond, including works by Joseph Beuys, Marina Abramovic, Nan Goldin and Daniel Buren. Yet the project had very humble beginnings. The words are writ large in an illuminated artwork by artist Dean Jokanović Toumin displayed in the makeshift museum. Funds willing, the depot will hopefully be replaced by a major building to house the expanding collection, designed by Renzo Piano. This is currently being developed under the patronage of the UNESCO director general. Ramović recognised that art might appear a trivial concern when pitted against the backdrop of war. (Given its recent past, Sarajevo is not a city where much, if any, contemporary art happens, and the collection itself does not have any Bosnian artists.) And yet, during her talk, she recounted an experience now seared in her memory, of attending the performance of a play when she was 14 with the sound of rockets exploding in the near distance. For Ramović, it was a powerful lesson in how art can be a tool for resilience through creative engagement. Though the project has clearly grown and evolved, this ethos is still very much a core value at the heart of Ars Aevi. Without such powerful testimonies, it’s easy to dismiss a functional idea of art – that it might indeed have a social, even political purpose – though of course for centuries this was exactly how art was deployed. Indeed, the notion seems a wholly old-fashioned, if not redundant one, and yet it persists, not just as a theoretical idea but as part of the educational programmes in art institutions. However, few people champion it as provocatively as Alistair Hudson. Since being appointed director of Middlesborough Institute of Modern Art at the end of 2014, he’s been busy laying down some apparently radical plans based on the concept of the ‘Useful Museum’. In a panel discussion with Foundling Museum director Caro Howell he discussed these ideas in terms of software program updates, the latest phase of which is that we entirely dispense with the idea of art objects as central to the museum experience – as transmitters, as it were, of betterment and moral uplift. The museum of today, or at least his ‘useful’ model, should instead concentrate on engaging communities to actively participate in and take charge of the museum experience. Hudson’s “holistic idea of art” did, I must admit, sound off-puttingly remedial. Furthermore, it wasn’t clear why we should need the space, or indeed the authority, of the museum at all in order to validate such activities or experiences. Nor indeed why this approach might engage where others have ostensibly failed. 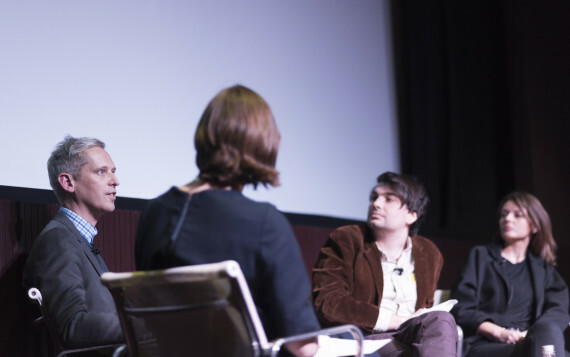 I doubt the audience were any the wiser, though I should add that it was a lively and provocative discussion. Art education was a strong focus too. One school that has impressively resisted the increasing marginalisation of art in the school curriculum is West Rise Junior. Situated in rural Eastbourne and surrounded by marsh land (here water buffalo roam and sheep gambol), pupils run an art studio and are in the process of building a Bronze Age village on site where they learn to make bronze coins. There’s an enormous sense of creative freedom as well as the physical challenges that come with it, and one might say that here is an arena where that holistic approach certainly appears to be having a positive impact. 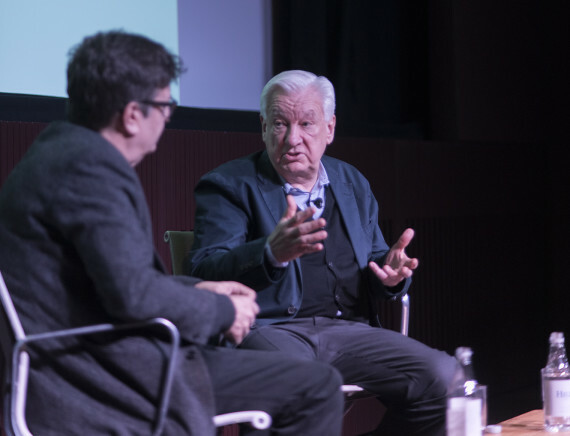 Freedom, as a word, as a concept, cropped up frequently in a discussion between Michael Craig-Martin and Mark Wallinger. The Turner Prize-winning artist, who completed an MA at Goldsmiths in 1985, and Craig-Martin, who proved such a dynamic force at Goldsmiths as a tutor, came together to discuss their time at the college. Wallinger defined his time there as “life-changing”, while Craig-Martin lamented the radical shift that had occurred in art schools since the early ‘90s, with colleges being forced into a rigid academic models for which they’re wholly unsuited. “Critical theory has become the orthodoxy,” Wallinger regretted. “Three-hour one-to-one tutorials have been reduced to half an hour,” Craig-Martin protested. Both appeared to agree that there was much less freedom for students to develop and experiment, and that this was clearly a bad thing. This leads to a good question. What exactly is the relationship between having the right type of art education – whatever form this might take – and an art scene that is flourishing and dynamic? One might in fact argue that great art often happens out of very straitened circumstances rather than favourable ones – a big topic in itself. Incidentally, there are plenty who would argue that the freedom Craig-Martin advocates has been one that’s led to deleterious neglect of technical skills, such as drawing. Certainly there are many artists, David Hockney for one, who would argue this. Still, watching Fully Awake, Cathryn Davis Zommer and Neeley House’s 2007 documentary about the radical educational methods practiced during the relatively short life of Black Mountain College – a school which gave such a grounding to Robert Rauschenberg, Cy Twombly, John Cage and Merce Cunningham – one left the conference quite happy, for now, to repeat the mantra of freedom. 1. Mike Fairclough, head teacher, West Rise Juniors (left) and Henry Ward, head of education, Freelands Foundation.